and significant price levels for various markets, depending on current market conditions. Enter your information below to start receiving your FREE! Pattern Trapper E-Mail Reports. How did you hear about the Pattern Trapper? Sign Up for FREE! Pattern Trapper E-mail Reports - CLICK HERE! Unique and cutting-edge indicators for making quick, easy, and accurate trading decisions. Developed by a pro with over 25 years of experience. Discover how to approach each trading day with a systematic game plan. Learning online means that you learn at your own pace. 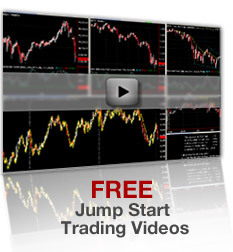 Jumpstart your success to E-Mini futures trading. Let a pro design your layout and teach you with a detailed lesson plan and real-time data. Describe the next day's most likely trading scenario based on Pattern Signal firings and S&R levels. Available for Futures/Forex/ETFs/Stocks. Bob Hunt - developer of the Pattern Trapper Cutting-Edge Indicators Library and creator of the Pattern Trapper On-Line Trading Course and the Advanced Short Term Trading Strategies One-On-One Mentoring Program. "Ever since the service began in 1999 the personal aspect that I've enjoyed most about working with other traders is that it forces me to develop a deeper understanding of why I trade the way that I do. Before I can explain the process to anyone else I must have a very clear understanding of it in my own mind. Working with other traders forces one to confront their own beliefs about trading, and in the process, makes them a better trader. My overriding objective has always been to make these trading techniques as easily understood as possible. If you should ever have any questions about the cutting-edge indicators, the on-line course, the one-on-one mentoring program - or even the trading methods used in general, please don't hesitate to contact me." Get a rebate from TradeStation® on any Pattern Trapper purchase. Statement of disclaimer: The information presented on this website is compiled from sources believed to be reliable, but its accuracy cannot be guaranteed. There is substantial risk of loss in trading futures, options, forex, ETFs, and stocks. There is no warranty, express or implied, in regards to the fitness of this information for any particular purpose. Past performance is not a guarantee of future results.